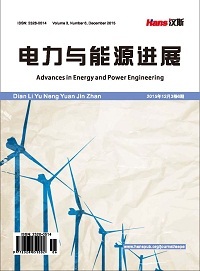 In this paper, the research of reactive power optimization in electric power systems is analyzed. The optimal models are divided into several types and the development trend is analyzed. Then, the shortage of traditional algo-rithms is pointed out. Also, the advantage and disadvantage of typical intelligent algorithms are compared together. The advantage of combined intelligent algorithms is pointed out. 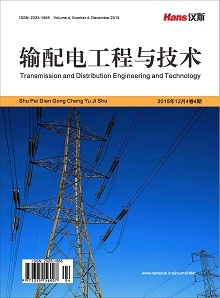 The development trend of reactive power optimization is indicated in the end of the paper. 熊信银, 吴耀武. 遗传算法及其在电力系统中的应用[M]. 武汉: 华中科技大学出版社, 2002. 诸骏伟. 电力系统分析[M]. 北京: 中国电力出版社, 1995. B. Cova, N. Losignore, P. Marannino, et al. Contingency constrained optimal reactive power flow procedures for voltage control in planning and operation. IEEE Transactions on Power Systems, 1995, 10(2): 602-608. 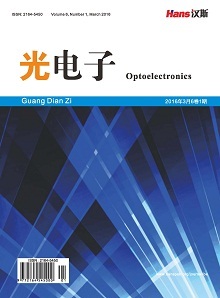 M. B. Liu, S. K. Tso and Y. Cheng. An extended nonlinear primal-dual interior-point algorithm for reactive-power optimization of large-scale power systems with discrete control variables. IEEE Transactions on Power Systems, 2002, 17(4): 982-991. S. Granville. Optimal reactive dispatch through interior point methods. IEEE Transactions on Power Systems, 1994, 9(1): 136- 146. 黄志刚, 李林川, 杨理等. 电力市场环境下的无功优化模型及其求解方法[J]. 中国电机工程学报, 2003, 23(12): 79-83. 宋军英, 刘涤尘, 陈允平. 电力系统模糊无功优化的建模及算法[J]. 电网技术, 2001, 25(3): 22-25. L. D. B. Terra, M. J. Short, Security-constrained reactive power dispatch. IEEE Trans. on Power Systems, 1991, 6(1): 109-117. 娄素华, 李研, 吴耀武等. 多目标电网无功优化的量子遗传算法[J]. 高电压技术, 2005, 31(9): 69-71, 83. 胡彩娥, 杨仁刚. 考虑电压稳定的电力系统无功优化规划[J]. 继电器, 2005, 33(4): 22-25, 30. 冯士刚, 艾芊. 利用强度Pareto进化算法的多目标无功优化[J]. 高电压技术, 2007, 33(9): 115-119. 刘明波, 朱春明, 钱康龄等. 计及控制设备动作次数约束的动态无功优化算法[J]. 中国电机工程学报, 2004, 24(3): 34- 40. 张武军, 叶剑锋, 梁伟杰等. 基于改进遗传算法的多目标无功优化[J]. 电网技术, 2004, 28(11): 67-71. 熊虎岗, 程浩忠, 李宏仲. 基于免疫算法的多目标无功优化[J]. 中国电机工程学报, 2006, 26(11): 102-108. H. W. Domme1, W. F. Tinney. Optimal power flow solution. IEEE Transactions on Power Apparatus and Systems, 1968, 87(10): l866-1876. D. I. Sun, B. Ashley, B. Brewer, et al. Optimal power flow by newton approach. IEEE Transac-tions on Power Apparatus and Systems, 1984, 103(10): 2864-2880. A. A. A. Esmin, G. Lambert-Tortes and Z. de Souza. A hybrid particle swarm optimization applied to loss power minimiza-tion. IEEE Transactions on Power Systems, 2005, 20(2): 859-866. K. R. C. Mamandur, R. D. Chenoweth. Optimal control of reactive power flow for improvements in voltage profiles and for real power loss minimization. IEEE Transactions on Power Engineer-ing Review, 1981, 1(7): 29-30. 刘明波, 陈学军. 电力系统无功优化的改进内点算法[J]. 电力系统自动化, 1998, 22(5): 33-36. K. N. Reddy, V. Agarwal. Utility-interactive hybrid dis-tributed generation scheme with compensation feature. IEEE Transac-tions on Energy Conversion, 2007, 22(3): 666-673. 贾德香, 唐国庆, 韩净. 基于改进模拟退火算法的电网无功优化[J]. 继电器, 2004, 32(4): 32-35. 熊宁, 陈恳, 戴伟华. 基于禁忌算法的多目标无功优化[J]. 继电器, 2006, 34(24): 21-25, 32. 贾孟丹. 基于改进蚁群算法的电网无功补偿装置优化设计[D]. 天津: 天津大学, 2009. 刘科研, 盛万兴, 李运华. 基于改进遗传模拟退火算法的无功优化[J]. 电网技术, 2007, 31(3): 13-18. 谭涛亮, 张尧. 基于遗传禁忌混合算法的电力系统无功优化[J]. 电网技术, 2003, 28(11): 57-61.